Steve Handy of Sunseeker Poole is delighted to announce the recent completion of the Sunseeker Portofino 48 “STEP BY STEP IV”. 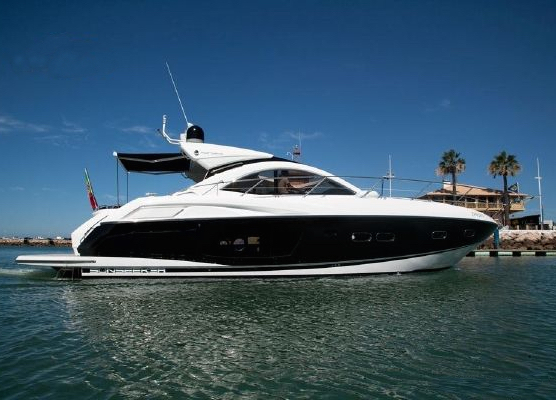 Sales Broker Steve Handy acted on behalf of the buyer for the sale and completion of the 2011 Sunseeker Portofino 48 “STEP BY STEP IV”. Having been looking for a boat for a number of months, Steve studied the market for the perfect boat for these first time owners. The clients decided on “STEP BY STEP IV” as the boat was beautifully presented in as new condition with low engine hours. “STEP BY STEP IV” was originally based in Villamoura, Portugal. As a preferred location of the buyers, they have decided to keep the boat in the same marina in order to enjoy Mediterranean boating. Sunseeker Poole would like to wish the new Sunseeker owners very happy season with their first vessel.